Bourjois Little Round Pot Intense Eyeshadow in 03 is a highly pigmented rosy pink with flecks of silver glitter. To swatch it is absolutely beautiful. To apply it is not so great. Now I am one of the biggest magpies going but when it comes to my eyeshadow I like it to apply onto my eye lids, not all over my face. The fallout on this product is ridiculous, you can literally end up looking like a glitter ball. 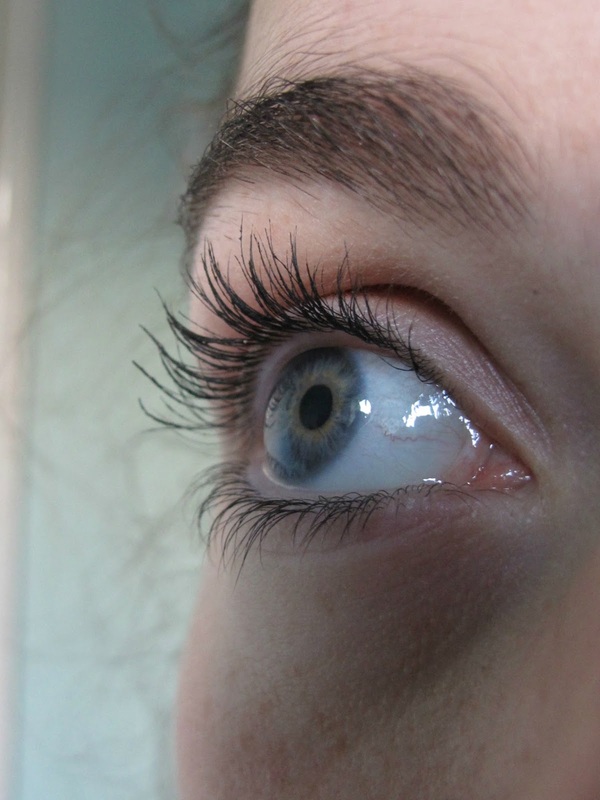 The picture above shows some of the fall out onto my eyelashes. You can minimise this fall out by using a wet brush, but that is too much effort for me! As for wear, this little round pot lasts a little bit less than your average eyeshadow. Its not something you could wear all day and forget about but the sparkle of it would be perfect for an evening out and last all night. Would I buy this again? I don't know it's kinda of an average product to me, great colour but the fallout just puts me right off! What puts you off using an eyeshadow? The Revlon Colorstay Ultimate Suede lipsticks have a 'velvety soft formula with moisturising shea butter'. I have read some reviews about this product that say it dries their lips out?! This certainly isn't the case for me, I find the suede lipstick applies like liquid, long lasting and definitely keeps my lips full of moisture. The 'Finale' shade is a the perfect everyday red with its subtle orange tonnes and with a semi-matte finish. And if you want to add a glossy sheen on top, just add Vaseline! The colour pay off is good but you can also layer it up to create a more intense colour but I find one coat enough for me. I find it really long lasting and this colour in particular reminds me of a lip stain as the colour only fades, it doesn't disappear altogether. Has anyone else tried the Revlon Colorstay Suede Lipsticks? The weather in the UK is very unpredictable! One minute it is beautifully sunny and the next it turns bitter and cold. This week the weather took a turn for the worst which meant it was officially the end of summer... time to get the knitwear out. I brought this Topshop jumper back in August when the Autumn collections started coming in the shops but haven't had the opportunity to wear it. I am very much a magpie so anything with the slightest bit of sparkle or bling I fall in love with. The Topshop jumper has little studs embellished all over the front and sleeves and paired with my new favourite white shirt from ASOS it gives a very preppy feel to my outfit, which is perfect for when I go back to uni this week! If you ask any girl what item of make-up they couldn't be without you'll find a lot of them will answer with mascara. There is something about making your eyelashes bigger and darker that makes you feel like your ready to face the world and ladies I've found the best drugstore one. L'Oreal Waterpoof Telescopic Mascara. Normally when I buy mascara I don't really care whether it is waterproof or not. As long its black I don't mind! But a couple of months ago when it was on offer in Boots I decided to try this L'Oreal mascara and I'm glad I did. I've found that waterproof mascara is great for holding a curl. I will put my mascara on first thing in the morning and before I go to bed at night I still have a lovely curled lash, and not to mention there is minimal fall out or smudging which means now panda eyes for me! The one thing that is a must when I buy a mascara is a rubber wand. I know some people have a love hate relationship with rubber wands but I find that they are great for giving a nice fanned out look as well as giving more volume, something this product does well. The wand separates the lashes nicely and gives a sophisticated look rather than beefed out lashes you would wear on a night out. I think the L'Oreal Telescopic Mascara costs around £10.99 and is definitely worth a try if your on the look out for a new mascara. One of my best friends is going off on her travels in less than two weeks so we decided to have one last night out before she went. 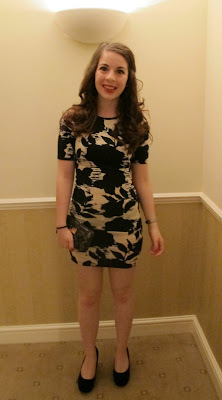 I opted for this figure hugging Topshop number for the occasion which I am obsessed with. 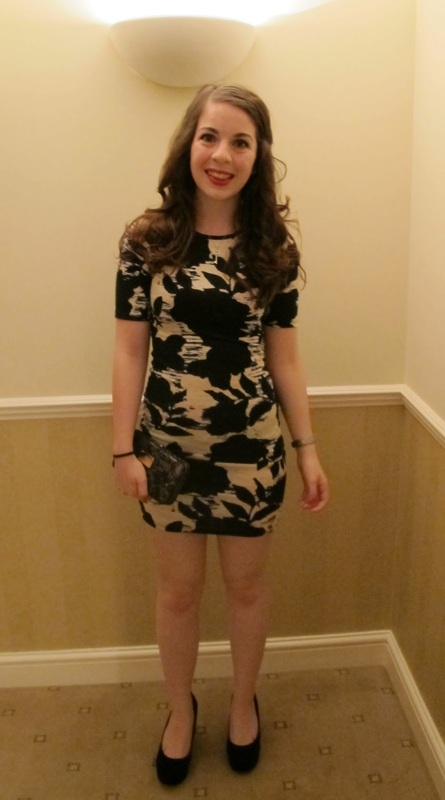 It's the perfect night out dress for this season with its autumn inspired print. To inject some colour into the outfit I wore my new favourite combination MAC Full Fuchsia with Chanel lipgloss Jalousie on top. Unfortunately I committed the beauty sin of not taking my make-up off before I went to bed and when I woke up this morning my lips were still bright pink. Now thats staying power. The Tartan trend has to be my favourite for Autumn. There's something about wearing tartan that makes me feel like a little girl again. I used to have this tartan dress that I wore ALL the time...I have the photos to prove it. This tartan peplum top from Zara is the perfect way to wear the trend if your a little apprehensive, and for £25.99 it's a relatively cheap and can be worn again and again. 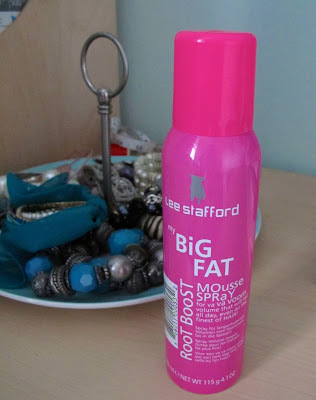 I'm going to start by saying that I'm a massive fan of pretty much all Lee Stafford products! The Lee Stafford Hair Growth Treatment is one of my all time favourite hair products. So I must admit I am slightly disappointed with this product. I went into Boots when they were having one of their 3 for 2 offers and thought I would try some new products because at the time I was looking for a mousse to run through my hair to help hold my curls. I picked this up and when I got home I realised this wasn't just your run of the mill mousse but a root boost spray. But nether the less I thought I'd give it a go. For 'va va voom volume' the Lee Stafford Mousse Spray promises volume that will last all day, even on fine hair. The mousse has a directional nozzle which is really great as I often find it difficult to get right into my roots. The instructions say you might feel some tingling when sprayed which is supposed to be the boosting agents working but I didn't feel this. I've found that when blow dried the product can leave your hair feeling stiff at the roots which is something I'm not overly keen on. I also found that it doesn't actually boost my hair all that much. 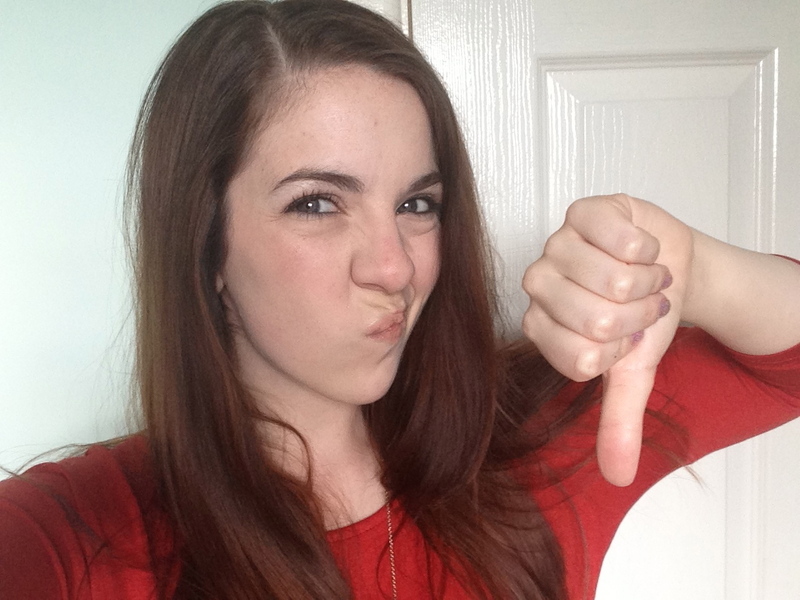 I took the above photo after using the spray and blow drying my hair upside down and there wasn't much difference! I've tried the product a few times now to give it a good test but the results are always the same so I felt a bit let down by this product. Maybe it works better on finer hair than mine, I would love to hear if anyone has had a different experience with this? Have you tried the Lee Stafford My Big Fat Root Boost Spray? Foundation is without a doubt the most important part of my make up routine. Fact. If you get your foundation wrong it ruins the whole look, it could be the wrong type for your skin (hello dry patches) or the wrong colour (did someone say orange?). The MAC Matchmaster uses 'new technology that uses translucent pigments to enable a fully personalised finished influence by the subtleties of your own skin's undertone'. The coverage is medium and is buildable which means it is perfect if your looking to hide some imperfections or if your looking for something a little heavier. The finish of the foundation is demi-matte and it gives you a healthy subtle glow. I have fairly dry skin so I always moisturise before using it, but thats the same with every other foundation I use. It doesn't look cakey when applied and I find I don't need to use very much to give a great coverage to my skin. I've found that Matchmaster lasts for about 8 hours before it starts to look a little worn, but with a little bit of powder you can freshen it up. The foundation is water-resistant as I found when I forgot to take it off before swimming once, and contains SPF 15 making it the ideal foundation for your holiday. A little late I know but theres always next year! 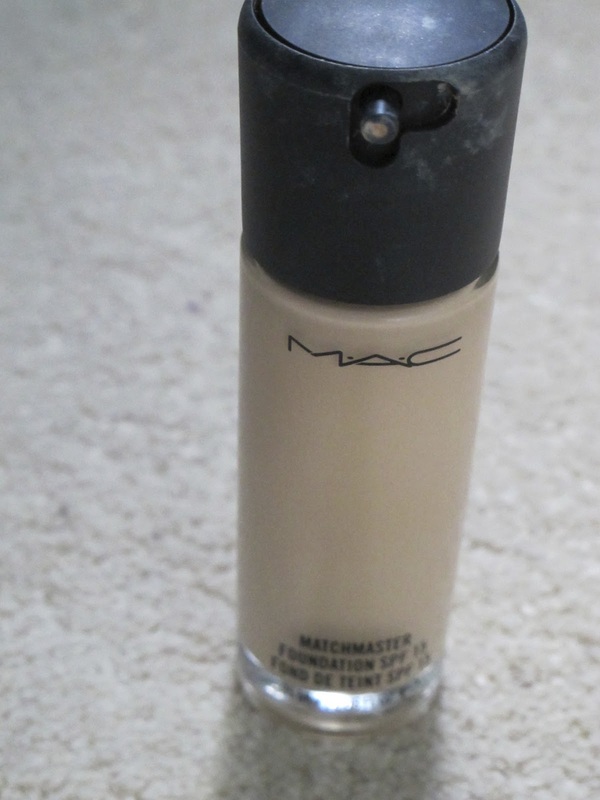 I'm always looking out for new foundations but the MAC Matchmaster is definitely something I would purchase again. What foundation are you currently using? Maybelline have released 6 versions of their lip balm into the UK so far, but I opted for just the standard 'Hydrate' as my lips are starting to get a little dry in this changing weather. The lip balm glides over the lips really smoothly and does make them feel smooth and surprisingly hydrated. Maybelline claim that this hydration lasts up to 8 hours but I'm yet to feel it working for that long. I find that as soon as Baby Lips wears off...so does the hydration. But thats no different to any other standard lip balm right? And for £2.99 you can hardly complain. I think that Maybelline Baby Lips add a bit of fun to the Mabelline range. The packaging is bright and colourful and all the products smell really nice - 'hydrate' particularly with its lemony scent yummy! 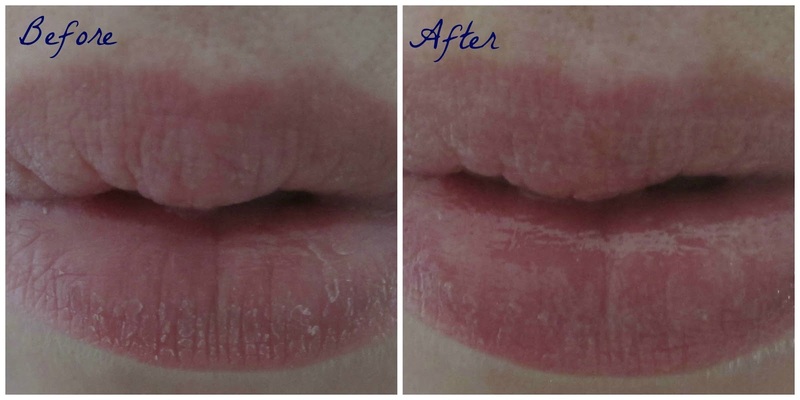 If your after a quick fix for dry lips then this is the product for you. What do you think of Maybelline Baby Lips?